Ideal for external busy town centres where waste management is high, the Luna outdoor litter bin has a large, open top for easy disposal of waste. It's sack retention feature holds the sack in place. 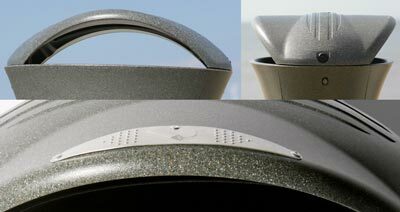 A contemporary-styled litter bin with a narrow footprint. Bin: Black (100% recycled material), Cool Dark Grey, Millstone, Sandstone. Bin body, hood and sack holder: Durapol™ Material. Height: 795mm (open top), 945mm (hooded top). Weight: 5kg (open top), 7kg (hooded top).